The plastic corrugated pipe made from Single Wall Corrugated Pipe Making Machine is a new type of drainage plastic pipe which is formed by high-density polyethylene at the same time and has a corrugated shape. Twin Screw Extrusion Line is a special equipment suitable for extrusion molding of various PVC powders. 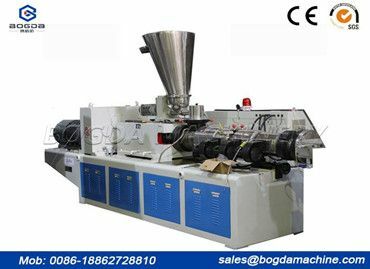 SJZ series conical twin-screw extruder has uniform plasticizing and mixing, high output and stable quality. 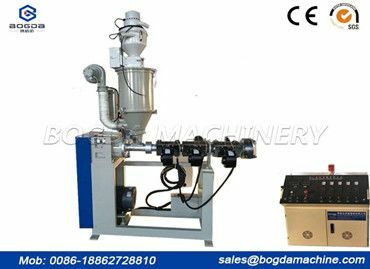 The CE Twin-Screw Compounding Extruders method of a plastic extruder generally refers to melting a plastic at a high temperature of about 200 degrees, and the molten plastic forms a desired shape when it passes through the mold. 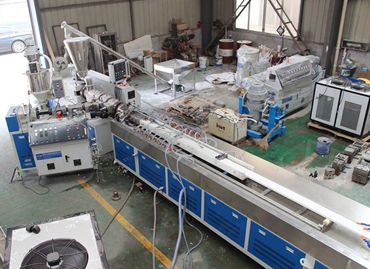 In PVC Single Screw Extruder molding equipment, plastic extruders are often referred to as main engines, and the subsequent equipment plastic extrusion molding machines are called auxiliary machines. In most Twin Screw Extrusion Line, the change in screw speed is achieved by adjusting the speed of the motor. The drive motor typically rotates at full speed of approximately 1750 rpm, which is too fast for an extruder screw.